I said to myself, this is the perfect computer for our interactive software. It seems as if Sprout were made for edddison. The HP Sprout consists of a 23-inch vertical screen and a built-in projector so the floor plan can be projected on the horizontal touch mat. The Sprout is powerful enough to run 3D applications smoothly. So it has everything we need for a great interactive 3D solution. “edddison” on a HP´s Sprout”, is a great tool for the AEC (Architecture, Engineering, Construction) industry. Made for convincing presentations. 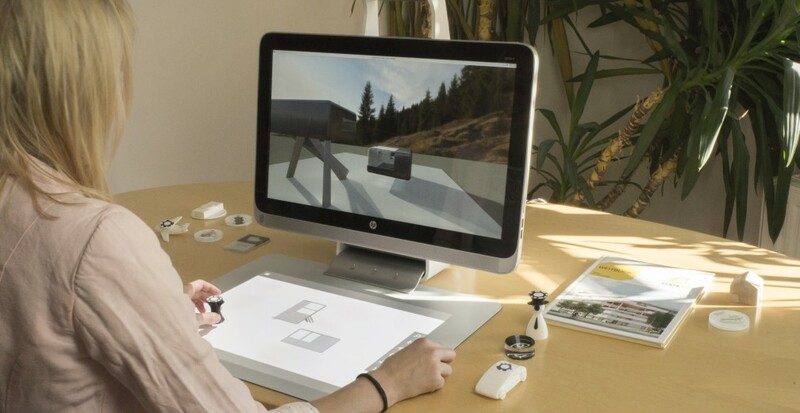 The Sprout by HP is a beautifully designed all-rounder PC that allows its users to interact with physical objects, digitalize them and further interact with them on their screen. The 23-inch touchscreen smoothly displays 3D applications which can be controlled by mouse and keyboard or via the innovative 20-inch multitouch mat that ships with the computer. It acts as a navigation pad which can be operated with your fingertips or in combination with a tangible control object. Partnered with the revolutionary projector arm, it can be used to scan objects and instantly manipulate them on screen, successfully breaking the boundary between the physical and the digital world.